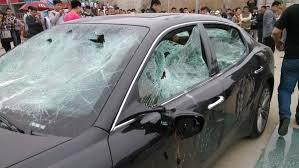 The millionaire Chinese decided to destroy his car as a response to bad service from Maserati. China is Maserati’s second most important market and last year it sold around 945 units. China was also the chosen market to unveil the new Ghibli. 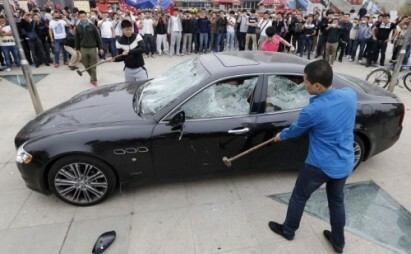 Shocking images arrive from China, where an upset owner of a Maserati Quattroporte decided to destroy its beautiful car as the way of complaining about the bad service. 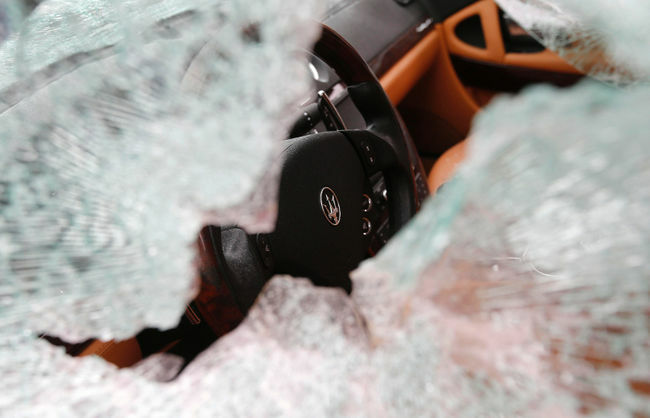 Pictures show how 4 guys, who were hired by the Quattroporte’s unhappy owner, destroy the car ‘leaving the vehicle with a shattered windscreen and mirrors, the grille broken and dents to the bodywork‘ according to China Daily Mail Blog. 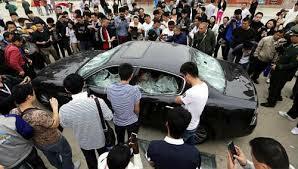 This terrible action took place at the opening of an auto show in Qindao, China, just in front of many people who were shocked about this drastic decision. According to the owner, Maserati didn’t respond to his complains about two problems the car had, and it only replaced a bad spare part with a used one, charging as if it was a new one. Then, ‘it failed to fix a problem with the door and scratched the vehicle’. In the other hand, Maserati said it had responded to the client and considered his reaction to cause sensation. Who ever is right, the truth is that reactions like these can severely damage the image of a brand like Maserati. The fact that a millionaire decides to destroy its beauty car should tell a lot about his way of solving problems, but also about his complains about the quality of his car. Maserati should had avoided this situation, specially now that the brand is focusing on markets like China to increase its global registrations. Chinese market deserves the best service, and the best image. Sacrilage!! perhaps it was a setup organised by the Germans!? Jajaja, common! or maybe it’s his reaction after Maserati told him he must wait some days to get the new generation! 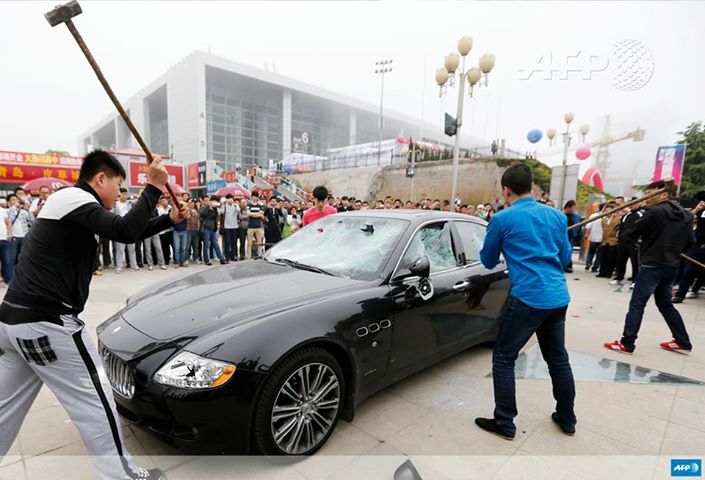 This seems to be a popular stunt by rich Chinese owners unhappy with their cars … the Maserati was far from the first one. The biggest mistake in this case was selling the car in the first place to this [insert insulting adjective here] Chinese customer who obviously has more money than sense. That’s right, it’s hard to please everyone. Thanks for your comment. Critics are always welcome. I always try to do my best in this blog, as I really like to share my points of view with you all. However I must tell you that I’m not a journalist as you say (this isn’t my job), and English isn’t my native language. It would be easier to write in Spanish, but I am sure I want the blog to be more international. So if you’re ‘sick’ about my English skills I would like you to help me to improve, in order to have a better website. Regards! I think in the global village that the world is it is quite absurd to expect everyone to talk like Prince Charlie. As long as the message gets across I am fine. So far I have understood every word that you have typed Juan. So no big problem here. Keep up the good work. The article was perfectly clear to me and use of English language was fine too. Juan Felipe isn’t a pro journalist but a student writing on his free time. Not really sure that response was warranted. Unless, of course, you are employing Mr Felipe and paying him handsomely to write for your entertainment. As a native English speaker I can safely say that Mr Felipe writes better than most English speakers I know and work with – and I work in an academic institution. I have had no issues comprehending any one of his articles due to poor English as yet. This has happened with other brands as well. 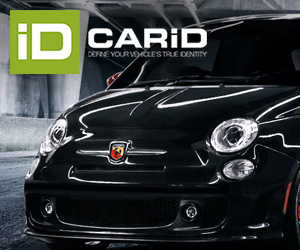 I remember Lamborghini and even Volvo. It’s a strange world out there where people destroy their own property to bring shame on others. I think it’s a case of too much money with some idiots who like to get publicity. But yes Maser must be sensitive to these things however crazy they are. (Customer) satisfaction is the difference between expectation and realisation. At least one of them was wrong. Under normal circumstances both parties try to find out why, which opens the door to a solution of the problem. I wonder what he would have done if his car had gone in for service and came out with several dents on top of both mudguards(fenders) and broken windsreen wiper mechanism as happened to me at an Alfa dealer…not us they cried. Took over 2 months to get a new wiper mechanism sent to Australia.